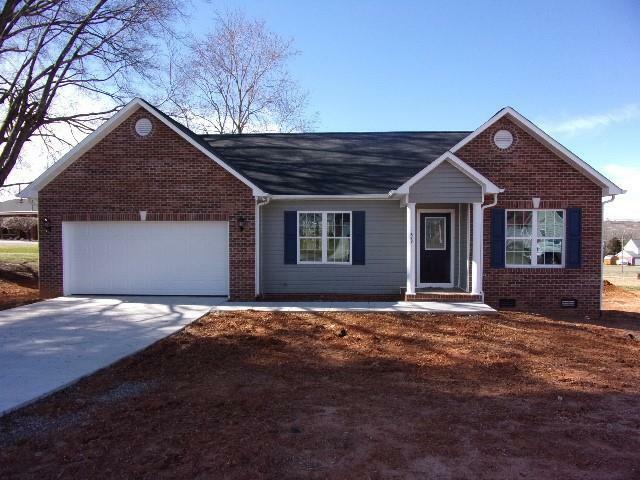 New Construction Ranch Style home w/ 3Bedroom, 2 Full Baths and Attached Double Garage in the City Limits of Conover. Open Floor Plan w/ Vaulted Great Room with Gas Log Fireplace. Unique Kitchen Pass Thru to Great Room. Abundant # of Cabinets. Master Bedroom has Sitting Area with Twin Window. Master Bath has separate Tub/Whirlpool and Shower. On Site Finished True Hardwood Floors in Main Living Areas. Hard Tile in Baths and Laundry Room. Carpet in Bedrooms. 12' x 12' Treated Wood Deck at rear of Home for Cookouts and Entertaining. Builder Name: RMR Construction Co., Inc. Courtesy of Rmr Real Estate Inc.